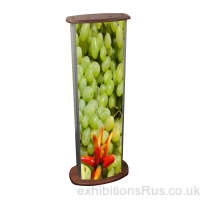 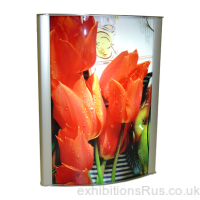 Light boxes for retail display light box applications, exhibitions, trade shows, offices, showrooms receptions and all professional display presentation applications. 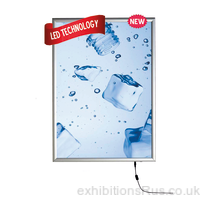 A range of indoor light boxes with easy snap action edge system for ease insertion of your transparency or digital graphics. 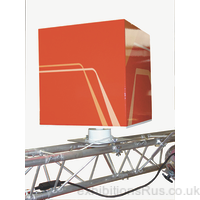 These display light boxes are available in a multitude of sizes, double and single sided displays, floor, wall and even ceiling suspended light box systems. 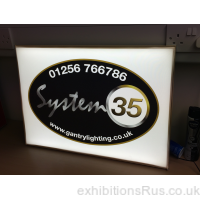 A choice of lighting options from traditional light tubes to LED bulbs. 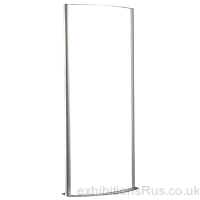 Some units are built to order, custom sizes in some ranges are also possible taking around 2 weeks in production, but standard items are stocked, call to confirm delivery times, 01256 768178.